The Mayo News has tonight come out with two exclusives concerning high-profile moves within the club scene. One is on the playing side and the other relates to management. The player in question is Donal Vaughan, with Mike Finnerty reporting (here) that he’s in the process of completing a transfer from Ballinrobe to Castlebar Mitchels. Ballinrobe dropped down from senior to intermediate this year after a 15-year stint in the top tier and, according to Mike’s report, Donie played senior championship football for them for eleven of those years. He’s been living and working in Castlebar for the past three years. Separately, the paper is also reporting on Twitter tonight that James Horan has been appointed manager of the Westport senior team. According to this report the appointment is for a three-year term. Club football within the county just got a whole load more interesting. The Gaa is built on you don’t choose your club your born in to it. Disappointing to see this. The stronger clubs will continue to forge ahead attracting outside players and managers offering players a strong future with better facilities, coaching & development, finances & opportunities. For the smaller clubs, it’s a grim future, trying to get as much as possible from resources and talent in the parish and knowing that the strong clubs can always strengthen with outside help to widen the gap between small and big clubs. 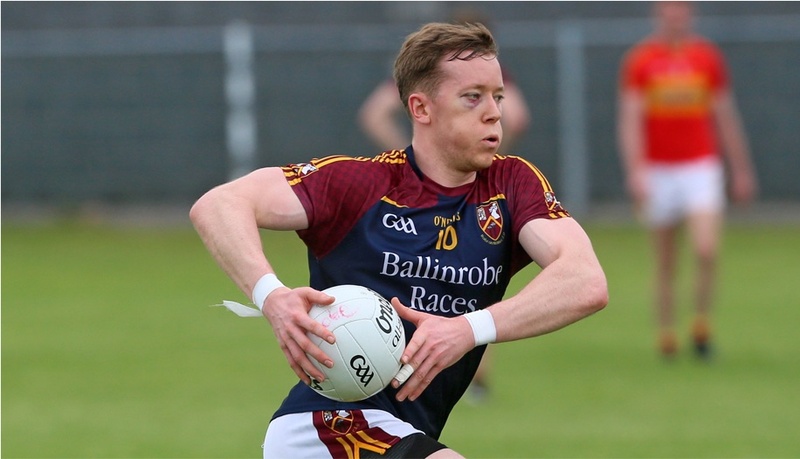 One club – One life .Ballinrobe have made him the footballer he is . Sure he might win a county title with Castlebar but it will NEVER be the same as with his own club .Very Very disappointed . My God. Ballinrobe drop down a rank and he transfers to the county champions. If I was from ballinrobe I would be livid. Ya disappointed to hear and hopefully doesn’t become a trend. I thought he might give it a year in intermediate anyway. Bad form by Donie. I don’t think he was born in Ballinrobe – so wouldn’t have the attachment to the club as people who were born and raised their. As my ball said above – winning a county title for him with Castlebar will mean very little to him. It is a worrying trend. Happened here in Kerry as well – two very good players with weaker clubs left their own club and joined Dr Crokes – the strongest club team in the county. Club football is following the path of county football – the strong are getting stronger and the weak are getting left behind. Another worry for the GAA clubs is the cost of bringing in these outside managers – it is a huge drain on club finances. A player putting himself before the club. He is living and running a business in the town of Castlebar. He is also on the chamber of commerce in the town. Then , you have the fact that his place on the county team has been far from nailed on the last couple of years and there is young talent coming through, he needs to up his own game. Was the Ballinrobe set up providing that? Our mayo team has shown in the past that it will be ruthless in the search of glory. Here is an individual from that team doing silimar. First the sky deal and now this ? I’m sure there’s more to it but I don’t care, you get relegated and then you head up the road to the strongest club in the county? That’s a nice thanks to the club that got him to where he is today. Bulltoe …He could still be on the chamber of commerce if he wanted . Donnie played with Ballinrobe since u10s . ask not what the club can do for him but what he could do for the club . There are lots of county players over the years that won junior and intermediate club medals and hold them very dearly .Donnie is a great role model for kids but think this is a mistake . Donie’s lack of judgement last September and now are both very disappointing. Whatever his business involvements are in Castlebar, he also has a business in Ballinrobe. Surprised that the County Board rubber stamped this so easily. It sets a dangerous trend. I’m not disappointed in him at all. I reckon the decision was not a wise one and he should have thought a little harder of the consequences. Still he is an ambitious man and is willing to do what it takes in order to get his glory and I don’t resent that and I hope he utilises the same for his county. I hope Ballinrobe use this to bounce back. Just to put this discussion into perspective, who knows of ex-players who have playing injuries and their clubs don’t want to know about them? It goes both ways and every so often one side let’s the other down, nothing is perfect. Also disappointed that county board didn’t try and get James in to manage underage team . I’m sure they could match Westport’s travel expenses .He would bring a lot of knowledge and have the respect of young players . Can’t believe Donnie is leaving the club that got him where he is . All – some are using this news to have a cut at Donie (not ‘Donnie’ by the way! ), which is not something I want to see. By all means take issue with the decision but leave the personal stuff out of it. He should not have done this. My own club man in Dublin Denis Bastick turned down several approaches from Senior clubs when we were an intermediate club. He never left his club mates an friends and is hugely respected and admired for this. This ‘trend’ is one that has been running a long time. A few names spring to mind: The late great John Morley (Kiltimagh to Ballaghaderreen), Tom Tierney ( Miltowm to Westport), Sean Kilbride, Maurice Sheridan to Salthill. And what about our hurling brethren? Was there not a guy called Ring who moved from Cloyne to the city slickers Glen Rovers? If this ‘trend’ continues, God knows what might happen next? This romantic notion of club for life is fine, if that’s what you are into. It’s a personal choice, and you aren’t going to change someone else’s point of view on the issue. The notion that you can move clubs for personal or advancement reasons won’t be palatable to everyone, but that doesn’t invalidate it as a perfectly good reason to do so. It’s down to the player at the end of the day. That said, County Boards should ensure this is not abused by larger clubs. I fully agree that is a slippery slope. However, can the slope be avoided in the long run? I’m not so sure. I personally believe that in the modern context, small clubs are unsustainable, and that a system of amalgamated larger/super clubs in inevitable. Am I completely OK with this? Not really, but I accept that it is simply the way things may go. Bastick and Cluxton are two examples of guys who have Club Loyalty as their priority. But there are also players like Fennell or Donie in this case who think differently. None of them are wrong, horses for courses. I think some of the comments are sentimental in nature and are understandable but the fundamental question is: Why can’t a player move if he so wishes? He’s an amateur and is entitled to make this move. Remember he has given many years of service to Ballinrobe and now is seeking to win some silverware with Cbar before he retires. I cannot see anything ‘wrong’ with that. I think its unfair that he should be seen in a negative light for this. He had a difficult time last year after the AI Final so to be fair we should wish him good luck. Of course he’ll be seen in a negative light for this – and rightly so! I can understand his reasons for wanting to do so i.e. win something, but it goes against the whole ethos of the GAA, particularly at club level. Smaller clubs find it hard enough as things are without losing their best players to bigger/more successful clubs. Spotlight, by extension of your logic, you would have no problem if Lee Keegan transferred to Dublin? I don’t want to sound rude but reading the messages above their is a big divide between club followers and county followers. Followers of any club would be disappointed that one of their star players has transferred a short distance away. County followers will take the players stance where “oh well sure he wants to win something” so he went to a better team. If it were my club and any player left I would be disappointed but when its your best ever player who leaves a team of youngsters who badly need him its a big kick in the teeth. The Mitchell’s recent success is build on local players coming through from good underage teams. Every player on the panel this year and last year played underage for the club. Its the first time in a long number of years that no “blow-ins” were part of the panel. I do not use the term blow-ins as a derogatory term either. As a town club Mitchells have always had players coming to work/live in the town from various other towns/counties and a number of them have transferred to the club over the years. Often the club didnt have that tight community feel you get with other clubs in Mayo. That changed only a few years ago when the success started and it was down to local lads that grew up playing together all continuing to play together at senior ranks. 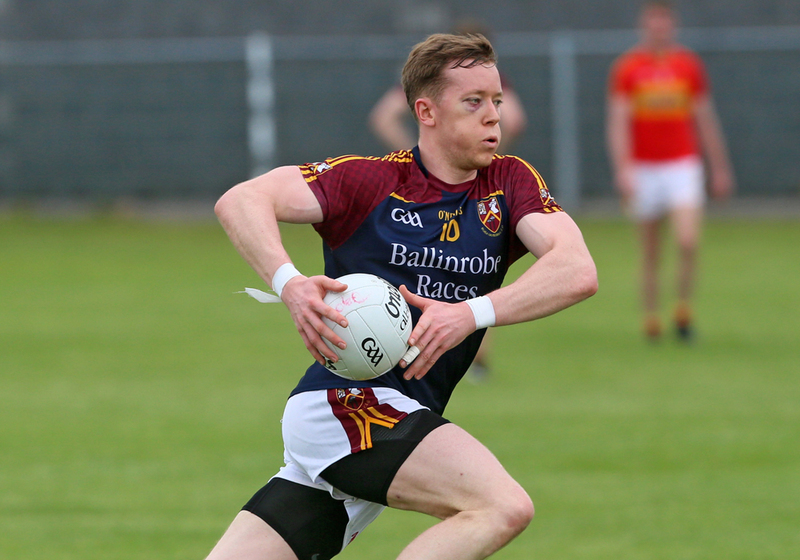 While Donal is undoubtedly a very valuable club player , he will be taking the place of a Castlebar lad who has a few county titles to his name or keeping a promising young sub on the bench for another year. While the Ballinrobe club will be shaking their heads at the decision i think a few in the Mitchells might be doing the same. If club players start leaving clubs because they want to win something- then the club structure is finished. Imagine the impact on Davitts if the Boyler left, if Shane Nally and Caolan Crowe left Gmore, If Stephen Coen left HC and all went in to join Claremorris and form a kind of superclub. This would finish these clubs as competitive forces. Donie should look at his county colleague Chris Barrett as an example of commitment to your club. Working in Dublin he had stayed loyal to Belmullet when I am sure he got plenty of offers to join the super clubs in Dublin. Castlebar had a lot of “blow ins ” in the late sixties &71/72 which let to Castlebar not winning a championship game until 1978 when they won the county final with 14 Castlebar players led by Leo Doherty -a dub– who later became club chairman. i do not think Castlebar poach players & always let players transfer to other clubs if they wished. Personally don’t have any issues with this. He lives and works in Castlebar and if you’re trying to run a business as well as commit to sporting endeavors then any time you spend in a car going to and from training is time poorly spent. While I can sympathise somewhat with the sentimental nature of some peoples disappointment, Donie needs to do whats best for him, his family and his business, and if any of those things are improved by him moving clubs to improve his lot, then I wish him the very best of luck. He’s been a great servant to his club and to Mayo football over the years and owes little or nothing to either at this stage. A bit condescending to describe people’s genuine disappointment as “sentimental” FDBinashui. Without that sentiment there wouldn’t much of a club scene, and probably not much of an inter-county scene either. I’m not vilifying Donie here either, I’d still support any player in a Mayo jersey, but when he lines out in a Mitchel’s jersey I can’t see him getting much goodwill. I’m sure he knows he will have disappointed a lot of people and will be getting a lot of flak and it will all be self-inflicted. There can be alot of badness amongst GAA supporters / club members when a player decides to move from one club to another. Those supporters seem to quickly forget all the time and effort that the player gave while playing for their club. I moved my own Son from a very big club to a smaller one here in Dublin and he is getting a better chance to play at a higher level, it seems that it is written in stone that a player MUST NEVER MOVE TO ANOTHER CLUB. Donie Vaughan has given huge service to Mayo and also Ballinrobe over the years, as he is working and living in Castlebar, its more practical to be based there. The reality is that some clubs have a better chance of doing well than others, better coaching ( from a young age ), facilities etc. In many counties, ie, Mayo & Dublin, the clubs have become second fiddle to the inter county season, with no club championship activity when the inter county season starts. Some may argue that the bigger population centres & clubs with larger areas will always be at the forefront. This may not always be the case, I was told this September that Ballina Stephenites could’nt field a minor or maybe an U21 team in this years championship, the situation in my own area of South Mayo has’nt changed much since I played there in the 1980’s and early 1990’s, almost same Junior, Intermediate and Senior clubs back then as now, with west Mayo being the major expection with the rise of Ballintubber & Breaffy to Senior status. Very disappointed to here this news but I believe Donie leaving for another club is the exception rather than the rule. Even if you consider the small cohort of views above the majority would not agree with his decision and by extension I would believe the majority of club players would be of the same view. We don’t know the reasons for his leaving, there could be a falling out or anything.. we simply dont know. There is a lot of Mayo fans who go to all the Mayo matches and fair play to them ,but there is a small section who Dont go to see their own club team on a regular basis .Think that is where the different opinions are coming from .But for us that train underage ,its the club that comes first .Its what’s unique about the Gaa .Ask any county player that won an All Ireland club medal and see what it means to him to win with the lads he grew up with . I know this is a Mayo Gaa blog but for Christ sake if anyone thinks this is a positive transfer ,you must not have much interest in Mayo club football . 25 mins to travel to training to his home club ! The mind boggles . Remember that TV show with Hector a few years ago when Donie in his shop in Ballinrobe was asked if winning all Ireland with club or county would be better. He couldn’t answer. I suppose now he feels that he has one last chance of winning with Mayo and he is giving it everything. If Mayo do win Sam in 2018 and he plays I think even Ballinrobe will forgive him. I made a posting on this issue early this morning [1.30/2.00 am] but it seems to have dissappeared with no indication that it breached any site rules or anything. What can be wrong, Willie Joe. Apologies for that, AndyD – I don’t know what the problem was and it clearly wouldn’t have been anything to do with what you said in the comment as you never stray into dangerous territory in that regard. I’ve checked the spam bucket (which is the only place your comment could have ended up if it wasn’t posted) and there’s no sign of it there. Odds things like that happen now and again here, with no clear reason as to why they do. If you want to post the comment again, I’ll watch out for it and hopefully there’ll be no problem with it this time. It’s a bit of a strange one. Your comment was posted to the site alright but you must have clicked on the photo of Donie after going into the piece so the comment appears under the attachment (i.e. the photo of Donie) and not in along with all the other comments on the piece itself. If you click into the piece and click again on the photo you’ll see what I mean – your comment is the only one there. As the man says, the longer you live the more you eat. Great for Westport to have James Horan as Manager. Pity he not involved in some Mayo set up- so much experience that could have been used. I wish him well (and at least he not going to be managing an inter county team against us!). Great he will be linking up with Lee and Kevin Keane. Also Leeroy on Newstalk Off the Ball tonight – will be listening avidly. Also that is just mighty news that All the backroom team are staying on. Such a relief to hear. So much travelling involved from Ennis and Armagh. Toe to hand . There was no falling out in ballinrobe with Donal Vaughan. Not going to comment on this at all. Just to say that club players generally have a tighter bond than inter county teams, it’s therefore so disappointing that the ballinrobe senior team were not informed first. Catcol..Only catching up now on posts so missed out on the news about backroom team returning..Had heard after our September sadness that Buckley was as good as gone so am delighted to hear hes back..God bless that motorway! !.Can now understand why rumours need to stay off the blog..As for Vaughan its an unusual occurrence in Mayo GAA considering how much emphasis is on club football and the club community..Hope it works out for him..
Donie. A bad move. Should have stayed with his club and just given Mayo his all in 2018 regardless. Westport. Excelllent choice. This will add to Mayo seniors etc in the coming years. Just quoting this post again as its spot on! As a club-before county man this leaves an extremely sour taste. The whole gaels of the county (and plenty outside the county) have mostly been fully supportive of the mayo squad in their relentless quest of Sam, even with the club game suffering. However with incidents like this following on from the ridiculous decision to swan off on a training camp in april with club games on i feel it really adds to the growing disconnect between the county team and their clubs. Totally disagree with anyone who ‘Thinks ‘ that Donal Vaughan is not fully entitled to play for whoever he likes, if the particular club want him to play for them…. A club is for life?? ?… Unless the club that ‘Own’s’ you,.. 1,think your not good enough,! . 2,.Your injured!.. 3,.The manager’s own son with two left feet is deemed to be better!.. (that certainly used to happen, once upon a time) 4,..You have to immigrate!.. .. I remember Pat Fallon going from Balla to Salthill years ago!… Plenty of negative comments about the move… I remember Tomas Tierney coming from Galway to Mayo and Westport.. I remember Pat Holmes and John Maughan joining Castlebar Mitchles years ago…. I do certainly feel for Ballinrobe and the loss of an elite footballer…But it’s a two way thing, Ballinrobe certainly benefited from Donie and Visa Versa!… People are certainly entitled to make their own decisions as regard’s to who they pursue ‘Amature Hobby’ ….. Slavery and indentured service have been done away with years ago….. It isn’t something that I like to nessarly see, but the modern GAA player has far too much expected or him or her nowadays… A prominent Senior Club player recently said to me that it is a ‘Hobby gone wrong,’.. And that he envied the players who played for the clubs junior side, because of the relative freedom it allowed these player’s…If a person was’ Out on Bail’ nowadays there would be less restrictions and expectations than for a ‘Senior Club Player’… Let them live their own lives, they will only get one shot at it as well, the same goes for the rest of us! Mayo 88 your comment “a player MUST NEVER MOVE TO ANOTHER CLUB” is ridiculous, of course players can move to different clubs – but not if the club is only 20 minutes away from where your living, should lads who live and work in Dublin now ignore there Mayo club because they may not be winning at the moment?. PK. Don’t think it’s hysterical at all . Just honest opinions of active club people . What do you want us to tell our kids that we coach from 6 years upwards that if they train hard for us and develop their skill’s that some day they can transfer to the neighboring parish senior club and they might win something with them if things don’t work out with us . Donie is a lovely lad but you have to realise that some of us are more passionate about our club’s because we were reared that way ,DNA if ya like. And that’s why we feel this is so wrong on every level . No doubt there will be disappointment in Ballinrobe on hearing this news, however, if Donie wishes to switch clubs then that’s his business and I wish him well. I’m sure it’s been a very difficult few months for Donie personally and hopefully he’ll be able to hold his place in the panel next year. On a more positive note, the news of James Horan’s appointment in Westport will be a massive boost for the club. There are some serious young players coming through there and they are going to be a major force in Mayo club football in the coming years. I’ve no doubt that under James’ management they will become a transformed team at Senior level. Think Donal is more.than entitled to switch clubs if that’s what he feels is best for himself. Contrary to what others are saying, players should not face any obstacles if wanting to play for specific clubs. If players feel obligated to stay with one club, or love their club too much to switch, then good luck to them. However a players option should not be restricted by sentiment of.others or by what other people think is right for them. Do whatever you feel is right for yourself and there should be no bad feelings towards any player that decides to switch. It’s them lads that break their own arse getting fit to play. Good luck to him. In my post which went astray I was making the point that clubs can vary in approach and attitude. I suggested that Ballinrobe do not have the tradition of Senior football that the likes of Garrymore and Knockmore have. I would describe the latter as mid level clubs who do not at present have great prospects of winning the County title. But they are determined to hold Senior status and will be dammed, by themselves if not supporters, if they go down to Intermediate even if it meant a handy title for them. I am so long away from Mayo that I do not know much about club football within the county and certainly about Ballinrobe. But I wonder did standards slip within Ballinrobe last year or in recent years. It takes a rare level of stubborness and determination to keep standards high in training and playing when there is not a reasonable prospect of success. For a player like Donie, who has to have a huge determination to attain the highest standards thaat could be very hard to take. Recol, who managed to come on my misplaced post, made the point that Garrymore players are not just happy to be Senior as showed in their disappointment in losing this year’s semifinal. Of course, that is the way with Garrymore and that is the way with many other clubs but not with all clubs. Some posters seem to have very short memories about interclub transfers. They may not be very frequent but there has rarely been a year when none too place. Many have been mentioned by other posters and I will throw in another one of some thirty years ago which few will recall: Paul Jordan from Kilmovee to Castlebar. Everyone was for a reason and players have no obligation to publicly state their reason. Good luck to James Horan in Westport, a club which should be much higher in the rankings in Mayo. It’s great that he is staying home in Mayo. They would seem to have a rich vein of talent coming through there but it will be a challenge to keep it all together as they scatter to make their way in the world as all Mayos have had to do down the years. Their performance in the All Ireland Club Final earlier this year was an absolute delight, esp. in the first half. By they way, anybody know if Kevin Keane will be fit to line out in the FBD? Good piece on the independent. ie about the transfer .I’m not going to comment again as I’ve made my position very clear .I’ll sign off as one of those old fashioned Gaels with an empty feeling in the pit of my stomach . Best of luck to both clubs in the future . Regina, Where did you get that news on Donie Buckley? That Vaughan transfer to Castlebar is sure to bring mixed views wouldn’t look as bad if he club weren’t relegated and he then joins the champions. Horan on the other hand clearly sees Westport as a club on the rise. This has a likeness to the heave of the management team two years ago. The players took it upon themselves (rightly or wrongly) to act in what they believed was in their best interests. I believe that Donie is doing the same. Blind loyalty to Ballinrobe will not get any club success for him. Far better chance with Castlebar. Add in the fact that he will be training and play his club football at a higher standard will only improve him as a player for his county duties. Lastly, take into account the time saved going to training then for Donie this move is a no-brainer. Best of luck to him. Not a move I agree with in terms of the ethos of the club. But without knowing the ins and outs I’ll try and reserve judgement for now. One thing for sure, Donie is bringing a lot of unwanted attention on himself. Jimbob, Donies move is nothing like the actions taken two years ago and its unfair to suggest it. For the transfer to go through there are four parties that have to agree to it, Donie has to want the move, Castlebar has to agree to take him, Ballinrode have to agree to let him go (its well within their power to stop the move, its happened to other players) and the Mayo County Board have to sanction the move. As this has happened quickly and with little or no publicity it seems to suggest it was an amicable decision all round. Whatever Donies reasons, he doesnt deserve the abuse he is getting from other parts of social media. I say good luck to him and hope it works out well. Just out of interest, why is it ok for someone to manage a club other than his own but player wise it’s a no no? This isn’t a go at anyone, just interested! You’d want to cop yourself on, Patrick McAuliffe, this isn’t a place for posting idiotic comments like that. Off to moderation with you for that one. JHoran in Westport will further boost their underage Players, even more so if he’s successful with their seniors. It’s understandable that people feel aggrieved when a player leaves a small club for a bigger club ….but it happens. I can’t agree with the earlier posts that only those who regularly attend club games or are involved in clubs ‘care’ about this issue. One has to be pragmatic about these things and not assume that because you’re directly involved in a club you have a greater understanding or emotional sensitivity to such a transfer. The real lesson in the Vaughan transfer is the perceived ‘contract of obligation’ GAA players are meant to uphold….even though they’re just amateurs. It’s very unfair to Vaughan to be the subject of such critcism. He’s fully entitled to make the move and wants to win some silverware…….what right have others to deride him for that? I also think it’s wrong that he needs the ‘permission’ of the clubs for the transfer to go through…he’s an amateur for heaven’s sake! People need to understand that we don’t ‘own’ these players and we shouldn’t hold them to account to accord to certain peoples’ views on how the GAA should operate. Why is JH not been subject to the same critcism for joining Westport? That ‘critical’ attitude towards ‘the players’ still exists in the GAA….doesn’t it? The bottom line is that Vaughan wants to better his club career with Cbar…….and he shouldn’t be admonished for that. Good luck to the lad! While the move is unique, it’s refreshing to see him staying within mayo. Hundreds of players transfer away from mayo every year. Very few transfer in. Having watched Donie play for Ballinrobe down through the years, his style of play isn’t suited to being a big fish in a small sea. He is usually out midfield and expected to win games for Ballinrobe. This doesn’t suit him and as a county player he comes in for special attention. More often than not frustration sets in and cards are dealt. He actually plays better for mayo than he does for Ballinrobr, as he can play in his suited position and has better players around him to link up with his strong deep running game. He will prosper with Mitchell’s as he will play in his suited position and the other county players will take the flak out the middle. Is it a right move? Well if Ballinrobe are happy to let him go, then it’s the right move. Remember that Vaughan Shoes are former main sponsors of Ballinrobe and Donie owes the club nothing more. From Ballinrobe will be disappointed with his decision to move but he’s 29 now and maybe he feels he needs to be playing at a higher level to get his place on the Mayo team and if his heart isn’t in playing for Ballinrobe then it’s time for him to move he’s got 3 or 4 years left at the top at this stage. Strange move for Castlebar. A home grown squad have won them their recent success. A player who has little interest in club football will hardly help their cause. If previous mgt were still in place, this move would have not gotten approval. I honestly think this has zero to do with trying to win a medal. I do think if Ballinrobe had maintained senior status he would have stayed. I’m sure he wants to make the most of his last few years of inter county and felt this would help him do that. Not saying it makes him right or wrong. I completely get why people are annoyed by this. I would wager that this was not a decision he made easily and also one where he knew the response he received would be vastly negative. What makes the gaa unique is a group ladies/men coming together to represent a parish ranging from different backgrounds from the farmer to the doctor who all grew up together (no issue if work means a new club but not 20 f****** minutes) unfortunately a lot of comments on this topic reflect a lot on society at the moment “whats in it for me” – instead of putting the head down with a chance to win a intermediate title, the toys have being thrown out of the pram and the ship jumped. Nice article here on Cillian O Connor. Putting his expoits into perspective..
Mayomagic – see my post and Willie Joe’s reply under the ‘ Christmas lunch was a cracking event’ blogpost of 9th December on the question of the management team. Lots of speculation about Donies move (alot of trash said too on other sites). Truth is no one knows the circumstances around the move. It is very likely this has nothing to do with football but rather a very busy man making the most of his time. Donie runs a number of businesses (probably with more planned) with an online presence thrown in. I doubt he gets to clock out at 6pm or anything close to it. 20mins may not sound a lot to most but it could be be a valuable 20mins there and back to others, throw into that his personal circumstances which no one has a right to konw about. While it never looks good seeing players switch clubs, particularly within the same county, it is an amateur sport and life should come first. People should really lay off Donie beacuse they really dont have a clue why he made the decision. The nearest comparison I can think of is the time Michael Donnellan transferred from Dunmore to Salthill. Michael had given Dunmore unbelievable loyalty down through the years. I remember him in games v Corofin where he singlehandedly almost beat them on his own – and probably would have too, if the officials gave him a modicum of protection. Towards the end of his career he moved to Galway and transferred to Salthill. He won an AI medal with Salthill – and must say I was delighted to see it happen – a true warrior/legend. Best of luck to Donie. But for the IC players that are prepared to plough a lonely furrow with their domiciled club, the least they deserve is protection from officials, and not be treated as some ould wet rag!! Mitchels went down a very slippery slope in the 80’s bringing in outside players. In fact it almost destroyed the club, and as a result they languished in the intermediate ranks for almost a decade. Donie coming in means a current starter is now on the bench, and a current sub is now relegated to the junior team. I havent spoke to anyone directly involved in the club since the news broke, but based on conversations I had over the past few years, I highly doubt that Mitchels aggressively recruited him. Thank you WJ for all the updates. I just want to say something about the Donie move. He is someone that i always like to see playing for Mayo and erally think this move will help him to improve and the Mayo team. It is also good that the Castlebar players are available in the New Year. I appreciate the concern of those who really value the Club scene. On another point as a native of Casebar, Ballinrobe was a long journey and i would rather see Donie going up to Andy for a chat than going out on a dangeroys road in a hurry. I am sure he might meet Aidan etc there. Hope it is all for the better. All will be forgiven when he gets the winning score. Mayomagic..It was from a friend of mine about 3 weeks after All Ireland..Things were probably very up in the air at the time and remembering how we felt can you imagine how those in the inner circle felt..Its not easy dusting yourself down and looking at another 10 mths of preparation after coming so close..
Like Mayo Mark I doubt if this move of Donie’s has anything to do with winning a medal. Maybe it has to do with carrying a heavy load for Ballinrobe for years with the prospect of that load getting heavier as they go down to intermediate. Maybe the reason they went down to intermediate is that others on the team were getting tired of the load and no longer putting the same effort in. I do not know as I’ve never seen Ballinrobe play competitively. (To date I have not seen anybody on this site make any reference to Ballinrobe’s performances in the past year or to why they were demoted). But if that was the case then I do not see how anybody can blame Donie for his move. As regards Castlebar in the 80’s and outside players, they had a few outside players in ’93/94 when they reached the All Ireland Final and it did not handicap them. Andy .Ballinrobe have a very young team .Club has good numbers at underage as a lot of work gone in our the years . You can’t blame their club if their Senior player and hero to the kids moves up the road . Don’t presume its the other players on the team when you don’t know or haven’t seen them play .If ya were presuming stuff about Donie WJ would probably pull ya up over rumours .I can’t understand it either as its 25mins on a good road and think Stephen Rochford would be judging the older lads at how they perform at training and challenge matches as much as what they do at club level . As I said before if he does win something with Castlebar – it won’t be as special as with his real club ..
Maybe OShea and Keegan should move to Dublin because they’ve only a couple of years at the top to win sam? Spot on DJ the club he plays for and the level there at has no impact to the likes of Donie at this stage. It’s simply ridiculous for the county board to sanction the move when the clubs are 20 miles apart. it sets a dangerous precedent. Well said Centrefield and DJ .Just because he is a great servant to Mayo doesn’t mean people here have to dream up excuses for him . travel ,work , be a better footballer with Castlebar . Sthop ! Off this topic, but just ‘loved’ Martin Breheny’s assessment of where teams are. Mayo at 3 behind, guess who? Kerry of course; we were lucky to draw with them the first day and of course their overall (meaningless) record of wins is greater than ours. League defeat by Mayo obviously doesn’t count. Still I expect to see lots of posts in support of Martin. Breheny is pathetic, more to be pitied than heeded. He just can’t hide his bile for Mayo. Donal’s loyalty and commitment to Ballinrobe over the years cannot be questioned – no more than Paul O’Connell’s commitment to Munster before he chose to go to France in the twilight of his career. If he feels that he has a chance of winning some silverware with Castlebar and Mayo in his last few years playing the game – – than so be it – – lets not begrudge him that opportunity. Cut him a bit of slack. As he is a man operating his own branch of the business in the the capital town of the county – – then it will obviously be easier for him to train for club and county there. There are a few factors to be taken into consideration here and possibly it might be wiser to wait another 12 months before we can be too judgemental on whether his decision was the correct one or not. If this move helps him to nail down a regular starting spot in the starting Mayo selection – – then he may well become a contender for the captaincy – – if there is a vacancy. I don’t know where Breheny is coming from. Talking to several Kerry diehards they feel there is a gulf in the physicality/conditioning of Dublin/Mayo and can’t see themselves getting there anytime soon. Even though I hate to admit it, the same goes for Galway. 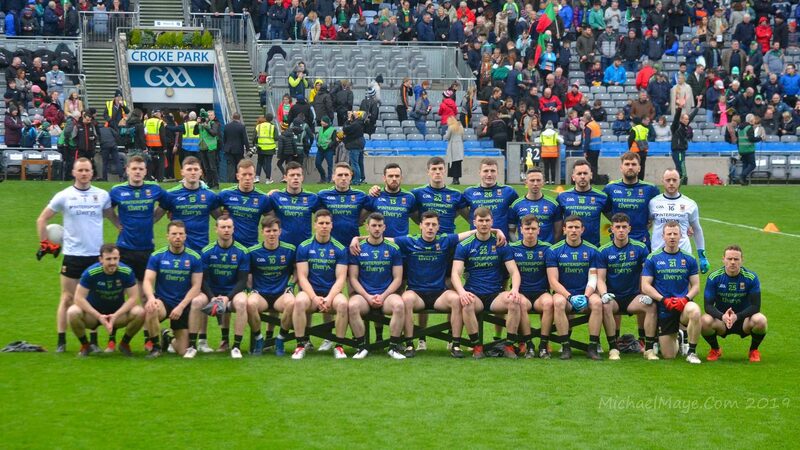 But in my opinion, 2018 is do or die for this particular Mayo team. I honestly think you deserve an AI. So, I’m sure Donie has consulted his team mates before making his decision – and hopefully it will help the County get there. No one will begrudge ye. He won’t play enough for Castlebar to make a difference wit mayo. Mayo squad players r wit mayo and that’s where he will prove himself. Between Jan & April he won’t play a single game 4 Castlebar. Some people lack of knowledge of how da club games work early in the year is ridiculous and shouldn’t really comment on it. Also people would want to remember that wit out clubs like Ballinrobe Ballyhaunis Burrishoole Bellmullet the current squad would be well weakened. Kevin Keane and Leeroy Keegan got picked for mayo from an intermediate club. Keegan won player of da year from an intermediate club. A fact we should remind ourselves something very personal might have happened and felt he couldn’t play for da club again and Castlebar is a natural fit for him wit an added bonus them been da best in da county. But if not it’s poor form. Andy did great interview on rte 1 now. He mighty. How is it that mayo are in news again this year week before Christmas..my head is hurting. You either have that parochial gra or you don’t. Vast majority of GAA folk do . Nothing happened between Donal Vaughan and ballinrobe has club, team players or team management. Mayo senior players train with regularly with their clubs, and have not done so for years. They play championship club football ( sometimes) and a few unstarred games. Ask any club manager, they will tell you that there are club players and inter county players and the amount of times the inter county lads train with their clubs is minimal. I have no problem with mayo players not training with their clubs, but don’t make it an issue when players transfer. Donie is getting way to much stick for this.numerous county players have left there home clubs to clubs within a commutable distance, but Donie is probably a victim of his own success been so high profile due to the success of the current Mayo team. Pat kelly moved from Kilmaine to Castlebar. Maurice Sheridan and Pat Fallon from Balla to Salthill and Barna.John Maughan from Crossmolina to Castlebar.Pat Harte from Ballina to Toulestrane.In Galway John Donnellan moved from Dunmore to Tuam stars and Michael Donnellan from Dunmore to Salthill. As someone with belmullet routes I generally don’t have to worry too much about high profile moves between parishes (but fair play to all the lads, I love following ye!). Let’s just remember regardless of the club scene anyone in the senior panel are faithful servants to the county we all love. I wouldn’t dare to judge anyone that’s sacrificed so much for the cause. Also – the nights will be getting shorter soon enough. The dream never dies! IMO This was not an easy decision for Donie, remember he runs a business in Castlebar, he is 29 and has to think of his future. I am not from Ballinrobe (maybe easy for me ) and for me Donie Vaughan owes Mayo football nothing, he has been a great servant and like many other on this great team he deserves our respect for any decision he wants to make. Nothing happened between Donal Vaughan and ballinrobe gaa club, team players or team management. Mayo senior players train irregularly with their clubs, and have not done so for years. They play championship club football (and a few unstarred league games. Ask any club manager, they will tell you that there are club players and inter county players and the amount of times the inter county lads train with their clubs is minimal. I have no problem with mayo players not training with their clubs, but don’t make it an issue when players transfer.At this point in the Gas, there are inter county players who have to focus solely on this to be any way successful, the ordinary club player does not warrant a mention. It’s only when a transfer like this occurs that the vast club population stand up and say not the way to do things. Jesus , Castlebar are not the only team that might win the county final . Holly/c ,Tubber ,Breaffy ,the Garries Knockmore and who knows maybe Ballinrobe might with intermediate final . Maybe there is a few of the Castlebar lads working in McHale’s and they could go to Ballinrobe .Sure they have to do what’s best for themselves – feck this loyalty stuff ,.Could be available in the January transfer window ? A lot of mixed opinions on this topic, just wondering W.J will you be giving your opinion on this issue ? So this isn’t a Ballinrobe story after all. No I am afraid not. Running a business in a small town in Mayo. That’s the story. I don’t have personal experience of this but ask anyone who has. It’s like living in a glass bubble. Jealousy on all sides and up to your knees in it. Any wonder the blog has exploded in the last few hours. DV is our best asset leave him alone. The real story is ignored as we might have expected. One club on the wane with a pressing need to hold a meaningful AGM this time around. Another club in a totally different place. I heard a rumour that JH might be on the move in the last week and in my innocents thought of 2 senior clubs straight away. Westport was not one of them. Crafty and not just for the golf. I won’t Joe, aside from agreeing with those who say it’s a matter for Donie and good luck to him. 2018 may be do or die for Mayo, but then again a lot of us have been saying the same since 2015, maybe 2014. These guys are at such a level that displacing them is a huge task for upcoming players. Their hunger is visceral; a little new blood is needed, just one or two, but those potential stars have a huge task to displace any of the regulars. WJ . not having a pop at ya but by saying its a matter for Donie and good luck to him – its looks like ya don’t have a problem with Donnie skirting up the road and leaving his teammates and friends to plough away in intermediate . I think ya will agree its hard to make any sense of it at all . There would be feck all posters on here only for the good work that is done at club level . My ball – I think it’s time you let this one go! How many comments have you posted at this stage on the topic? Also, my opinion is my own business and I’ll thank you not to infer things I didn’t say on this one. OK WJ . Fair enough .Some of us are passionate club people .Some are passionate Mayo only . Some are obsessed with Mayo winning an all Ireland . Others are interested in developing kids and building a sense of Community. Won’t comment again ! I wouldn’t overdo it on the holier than thou stuff either, my ball. Many people (myself included, in a small way up here in Dublin) are involved at club level doing what they can to develop kids within our own communities. You’re not alone in your passion for club, my ball. I am too but, since my club is not in Mayo because I’ve been living outside of Mayo for over 50 years now, I do not bring my club affairs into this blog. There was no club active in my own home area before I left Mayo so I have no past connection with a Mayo club either. 1. Can people stop using the excuse of Castlebar being only 25 mins away from Ballinrobe and his business is in Castlebar, hence the transfer to Castlebar makes sense. He has a business in Claremorris also, and that too is only 25 mins away from Ballinrobe. He didn’t transfer to Claremorris though! 2. As for players “being allowed to transfer” or not. Of course they can, it is in the rule-book. If both clubs agree and both club secretaries sign the transfer form then there is nothing that the county board can do to stop it. Even if they wanted to. 3. From reading the comments above, it was mentioned that the Ballinrobe senior team were not informed directly before the news broke. If that is true, for me, that would be the height of disrespect towards those lads. If the player wants to transfer that’s one thing, but if the player is not man enough, or respectful enough towards his teammates, to tell them directly maybe they are better off without that player, particularly when it comes to battling for promotion back to senior level next year? The operative word at no.3 there, Pebblesmeller, being “if”. I’ve got to say I’m really disappointed by this decision. It’s nothing personal against Donie who is a decent guy by all accounts, but we shouldn’t be so one-eyed not to criticise people on the Mayo team if warranted. Agree with everything pebblesmeller said above. The argument that he saves 25 mins by not driving to Ballinrobe is the most ridiculous I’ve heard yet. What an inconvenience, bring out the violins!! In my own club, a rural north Mayo club, some players live 30 min drive from the pitch and still live in the parish! As for the Mayo County Board, it’s doesnt surprise me in the slightest that they sanctioned this move. I know directly of 2 very prominent junior club footballers, both involved with the fringes of the Mayo senior panel in the last few years, who have come under intense pressure from important people within Mayo gaa to transfer to a senior club team, “if you’re serious about a productive career on the Mayo senior football team” was what they were told. These are once in a generation players for the respective clubs, the kind that come around once every 30 years. It’s utterly wrong they are put under that kind of pressure, and it’s absolutely not what the gaa is about. Also agree with the comments above about the reaction to this news illustrating the difference between the county fan and the club fan. Would be interested to hear True Grits thoughts on this development given his strong opinions expressed last week on the amount of money the likes of Mitchell’s receive from gate receipts. DecM… The rules are for all, and we can’t change them because of a decision made by a player… What if any particular player decides….’It’s my life, I don’t like your rules telling me I must play for this particular club, tell you what, I won’t play GAA at all, plenty of other sports out there, that won’t tell me who I can play for ‘… I don’t see how any rule would work for that seneario,… Don’t be so naive as to think that a player might not just consider it….Sure some players even have the audacity to play Basketball, no less, Soccer and Rugby and it doesn’t seem to get everyone so excited…. Once upon a time, Priest’s weren’t allowed to play Gaelic-football, among other things imagine that… I heard the odd story, that despite the ‘vow of obedience’… Some Priests even played inter county football,…Even worse, none other than’ Eamon DeValera’ was once upon a time ‘Banned’ from the GAA, his great sin, wasn’t as I am sure anyone reading will surely know… That he joined the British Army, no he didn’t do that, he went to see his favourite sport, being a Blackrock Boy in Landsdowne Road, Rugby, and despite his high position in Ireland he was subsequently banned from the GAA, for his great sin…. No it seems to me that some people think, that they can dictate how other people live their lives, even in a amature sport… Live and let Live’ is a good motto…But for those of ye out there that long for a regimental and restricted lifestyle where other people tell you what to do… The ‘Church of Scientology’ are recruiting… You will do what you are told there! At least Donie is still in the county playing the game. I’m sure all in Ballinrobe are sorry to see him go but hopefully in other ways he can still be involved with the club. Transferring between clubs within the county seems to be what’s causing the panic. I don’t believe that if Donie had come out and said that he was signing a professional contract to play aussie rules that there would be half the controversy. We have in the past seen some great hopes go to Australia and eventhough we didn’t want to see them leaving the home setup I think people generally wished.them the best of luck. After the all Ireland we were all squirming and panicking about players that might hang up their boots and retire. I would rather have players sticking at it and think that they have a better chance of doing it when they are content. I’m happy that Donie is going to be involved with Mayo again next year. While I can understand that some people are frustrated with the transfer, especially the Ballinrobe community, I would see it as been a greater shame if the player had retired due to having been unable to.take his own direction. I’m sure Donie has given everything for both Ballinrobe and Mayo through the years and if staying with the club was going.to in anyway dampen his desire to perform to his peak, then that would be a great shame. Hope that people don’t look too negatively on his decision and that he can help Mayo lift Sam in 2018. OK leantimes. . .just voicing my option that long term I hope we don’t see more of these transfers to bigger clubs .I look forward to seeing Donie in the green and red next year ,even if its as a sub as feel he will struggle to get in before boyler ,Lee, Paddy and Shane Nally . @ Larry Duff. All I am going to say is if you read my past blogs on Donal Vaughan you will know my answer. This guy is an athelete in my opinion. I will leave it at that. To WJ and everyone I wish all a happy Christmas and a wonderful 2018. JANUARY cannot come soon enough for the games to begin and let us forget this transfer nonsense.the rules of the gaa allowed DONIE to transfer from ballinrobe to castlebar and thats it, end of story…..
DecM,..Not having a go at you at all, I understand your feelings on the subject…. It’s just that with so many restrictions and demands on Gaelic-football players… I don’t think that the demands can go any further, other than what those players are freely willing to give… Eugene McGee was on the Radio saying that it is at least 20 training sessions nowadays, per match played…. Loads of very good young player’s are opting for the States, earn a few dollars, a bit of adventure, work and play a bit of football for the sport of it… I would say that it’s very close to breaking point nowadays as to how much more we can demand from them, something has to give soon! My brief visit to mayo Gaa blog is over to . l live in kilmaine and trust me in south mayo , this transfer will not be forgotten in January Jimbo . Donal Vaughan’s transfer is not going down well with any of the local clubs but Dont think this is the forum for any critical comments on Mayo players . Happy Christmas to all . Of all the posts, Toe to hand seems to be the best in my opinion. Donie made this move for a reason, hes been mining with the current Mayo team for a good few years and no success yet, no medal bar connaught. He has only one thing in mind and I doubt its a Club title, even that as great as it would be is in the shade when we consider how close he came to being a Saint in Mayo these last few years. Winning an All Ireland with Castlebar is a very remote goal as of today unless they get some other big names in the panel and thats unlikely, this move was made for bigger things than club football I am thinking, Sam Maguire at all costs. Does anyone here honestly think that ballinrobe or castlebar are even competing with Mayo at the moment in Donie Vaughans mind? Its like saying he stopped short of reaching the top of Mount Everest and is now training to climb the Reek or Nephin. They didnt get to 4 finals in 6 years by accident. Leantimes, It’s news to me that Eamon Devalera was ever banned from the GAA, whether for visiting Lansdowne Rd or otherwise and I’m very much into history, both of the GAA and otherwise. In fact I’d be very surprised if Dev was ever involved in the GAA at all, whether as a normal member or as an honorary member. Maybe you are thinking of Douglas Hyde who was a patron but was dropped from the role for going to either a soccer or Rugby Ireland match, I cannot recall which. Once upon a time priests were not allowed play but that was a church rule, not a GAA rule. Many however did play, but under another name. Thus Peter Quinn played for Mayo as Peter Quinlan in 1951 while I recall a Mick Walsh playing as Mick Wallace in the 1960’s. Regard transfers there are rules in the Official Guide on the issue which require counties to have bylaws governing the issue in their own county. There are procedures for changing bylaws which involve bringing motions to Co Convention. AndyD.. You are quite right.. Eamon DeValera was never banned from the GAA… I read about the controversy year’s ago, and obviously had mixed up a few important details… In fact it was President Dr Douglas Hyde who was removed from the role of ‘Patrons’ of the GAA for attending a ‘foreign game’ a soccer match versus Poland in Dalymount Park, Eamon DeValera sat next to the President, and earned nothing more than the ‘wrath’ of the GAA for being so unpatriotic as to attend a ‘foreign game’…. Whether that’s any better or worse than the’ Long Fellow ‘being banned is a matter of opinion….. The Roscommon County Board objected to the treatment of the President… And indeed in the years to come, were to name their county ground after the President..’ Dr Hyde Park ‘..But Eamon DeValera was reluctant to attend any game’s of his first love’ Rugby ‘ so as not to get into any further hot water with the GAA… Indeed it shows the’ power ‘of the GAA in those regimental day’s that Priest’s who’ took a vow of obedience’ went to great lengths to break their own church’s rules…. Some rules were better off being broken, the one that forbade them to play a game of football in any case, and sure they could always go to confession to another priest who was doing the same thing!.. Different Times! The man has f all time. 20-25 mins each way is a huge saving when you have no ‘time’. He has a successful business which takes a lot of work. Their online presence is huge and I reckon that’s round the clock time consuming. Women I know who have never been to Castlebar/ballinrobe/claremorris or even Mayo buy shoes from Vaughan’s. I’m sure work life balance is a huge reason as is spending the time he frees up in the gym with Andy etc to be the best he can. Why is it really anyone’s business? Sometimes you have to do what is best for you, especially in this stressful day and age. Good luck to him. A lot of people passing judgement when they may know all of the facts or the real reasons for this transfer. Personally I only know D Vaughan as a Mayo footballer who has given excellent service to his county and is a crucial part of the team. Proof of his importance is that his sending off last September for hitting John Small may have been a crucial factor in the dubs winning AI. In 2016 Donie was cynically taken out of the game by the same John Small and did not appear in the second half of the replay. Again we lost out by a point. Suffice to say that had he been on the field for all 70 minutes in both games our chances of winning would have been enhanced. I wish him the best of luck in the future and I also hope Ballinrobe prosper in his absence and that Castlebar make the best of his presence. I completely understand the view that by leaving his own club he is going against the ethos of the GAA. But as we all know these things happen and Tompkins and Shay Fahy who not only deserted their clubs, but counties also would say they were right to move. Its a matter of opinion.